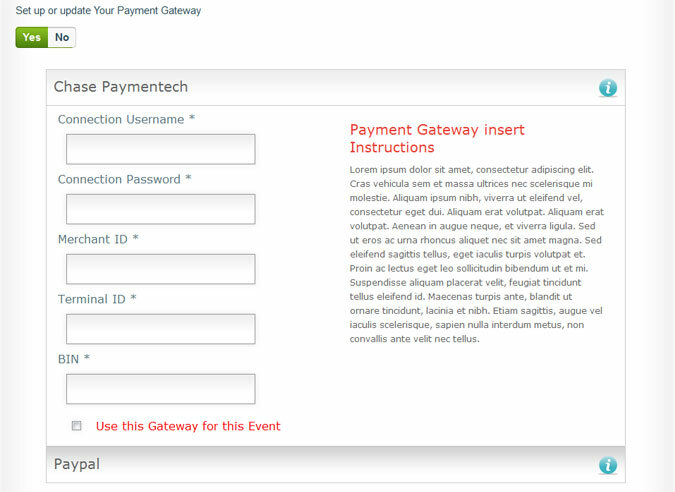 When you are setting up your event, under Payment Gateway click yes. 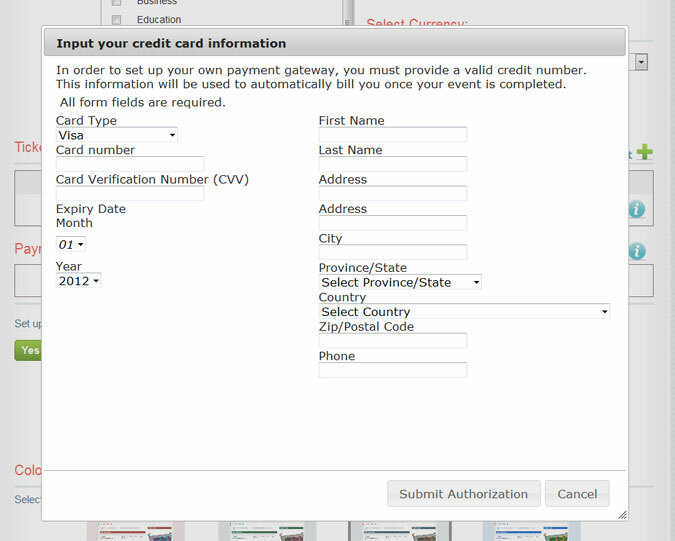 You will then be prompted to enter your credit card and billing information. This information will be used to automatically bill you once your event is completed. Once your information has been verified you can then proceed to select your prefered payment gateway. If you choose Chase as your payment gateway you will need to input your credentials and simply click the checkbox to use this as your default payment gateway. If you already have a PayPal account set up this step will be very simple. All you need to do is simply add your email email address associated with your account. Click Use this Gateway for this event to set as your default merchant account. If you do not currently have a PayPal account, please click here and register for an account.